NEW YORK—After concluding its fifth season last June with Don Draper and company facing new personal and professional challenges, the critically acclaimed AMC series Mad Men returns Sunday with a two-hour season premiere featuring a group of television actors terrified to death of never making the transition from television to film, sources confirmed. 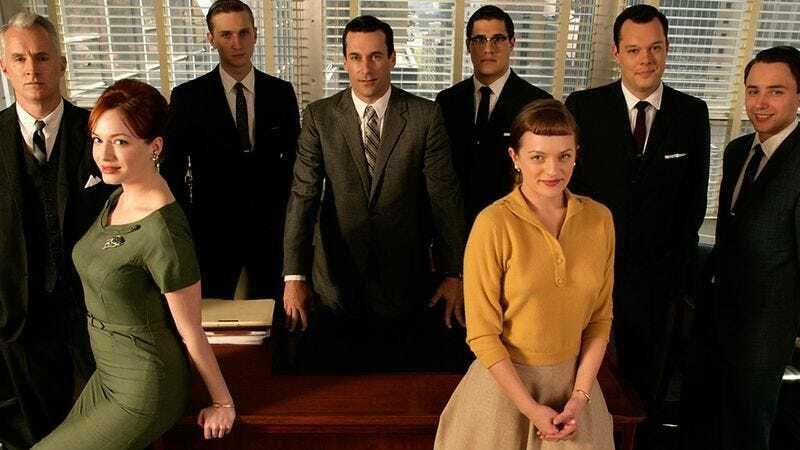 “In this new season, we wanted to really explore how a group of nervous small-screen performers navigate a professional world in which they constantly worry about not being taken seriously by the film industry,” Mad Men creator Matthew Weiner told reporters, adding that the new season picks up six years after the actors first appeared in the series with the goal of building their name recognition on television, branching out into smaller movie roles, transitioning to feature films, and hopefully disassociating themselves with their Mad Men characters. “This has been a common theme since the third season. But now that the series is almost coming to a close, I think it will be very interesting to see how these actors freak out about what they’re going to do in two years when Mad Men has disappeared from public consciousness and they still haven’t had anything close to a leading role in a major motion picture.” Weiner added that while he doesn’t want to spoil anything, it will become very clear by season’s end that one prominent performer will more than likely end up on Showtime in a role where he plays himself and makes fun of his career.